This is the view you have been waiting to find! Take in the incredible year round views of the Hudson River and TZ Bridge from almost every room. This 4 bed/3 bath home boasts beautiful hardwood floors throughout and a great sized rooms. The open concept living room, dining room and kitchen lead to the beautiful deck through 2 sets of sliding glass doors. The windows on the high ceilings really add to the abundance of natural light. When you visit the lower level, you will find a wonderful light filled room that walks out to an adorable stone patio with great views of it&apos;s own which is perfect for enjoying the night breezes. The lower level also offers 2 bonus areas, a bathroom and a laundry room. 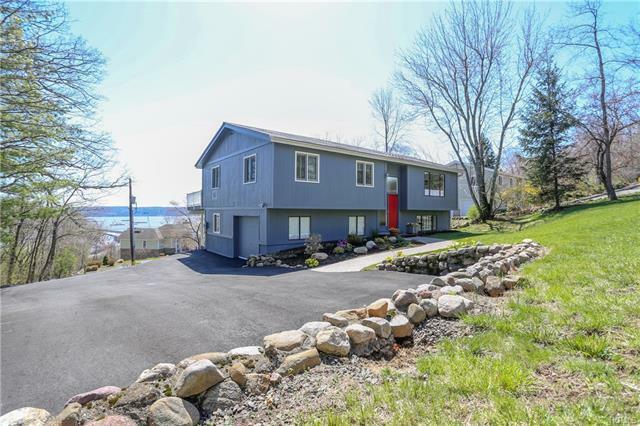 You just can&apos;t beat the location of this Upper Grandview home, nestled between Nyack and Piermont where you can be at a quaint shop or restaurant in minutes. Quick and easy commute to Manhattan and Westchester so you get to enjoy that extra cup of morning coffee on your deck!